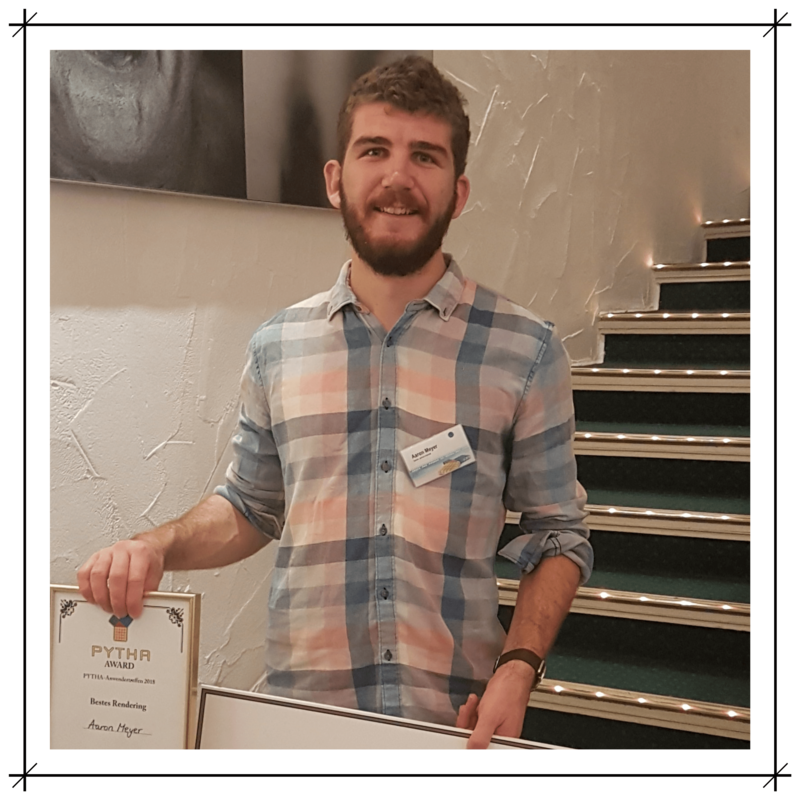 Fortunes are following Brisbane designer, Aaron Meyer (Darren James Interiors): he was the lucky-draw-winner of our local competition (drawn in AWISA last month, landing him a return flight to Germany to attend PYTHA’s biennial International User Meeting. His good luck was followed with a well-deserved win with a place in the German HQ’s drawing competition. In this highlight of the Meeting, entries are sought from around the world, in a range of categories including modelling, technical drawing and rendering. Aaron’s impressive 3D renders trumped the competition from his international peers, earning him 250 euro and the well-deserved title of ‘Best Render’. We’ll be sharing more news from the PYTHA International User Meeting when our tech team is over their jet lag (but you can see some pics here). Be sure to follow us on facebook so you’re first to see what’s new.